Holiday cheer in a glass! 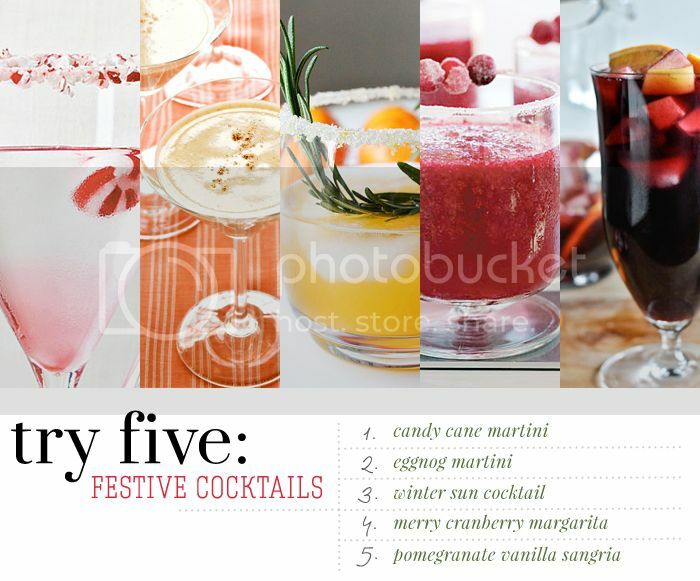 If you're looking for a fun and festive cocktail, I'm sure any one of these will have your guests overjoyed with delight! Don't they look tasty? What's your favorite Holiday drink? Those all look so goooooood!! I WILL be making that margarita asap!! These are seriously all amazing. Candy Cane martini? Yes please! What a great roundup of cocktails! I want to try them all!